At Law Office of Thomas A. Nanna, P.A., our lawyers are committed to seeing every case through to the very end. 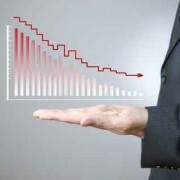 Typically, our cases end after bankruptcy is finalized and the debt is discharged. Sometimes, we are able to file a lawsuit against a debt collector that has violated the Fair Debt Collection Practices Act and get some extra money for the person we are representing. After that, our client is able to go off into a future that is free of debt. Unfortunately, these cases don’t always end quite so conveniently. Sometimes, a post-bankruptcy creditor violation causes severe damage to a recovering credit report. When that happens, attorneys Thomas A. Nanna and Jessie B. Molnar are ready to take action. How Do Post-Bankruptcy Creditor Violations Happen? 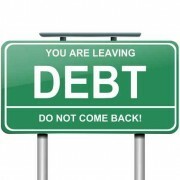 After you file bankruptcy, and your debt is discharged, creditors are required to report zero debt. Eventually, your credit report recovers from the damage caused prior to bankruptcy. Sometimes, however, a creditor will report that you still owe money, even after you have had the debt discharged through bankruptcy. 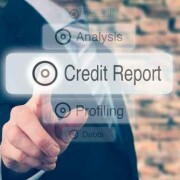 This can seriously hurt the recovery of your credit report. This is also a clear violation of the Fair Credit Reporting Act (FCRA). How Are These Violations Dealt With? Our attorneys put a lot of time and energy into helping people get rid of debt and get their finances moving in the right direction. At our law firm, we will certainly not sit back and let creditors undo all of the work we’ve done. We will take action against creditors, filing lawsuits if necessary to fix the mistakes that have been made. When we help you file bankruptcy, you can be confident that we will stand beside you to make certain that everything goes according to plan. Located at the heart of the Tampa Bay, our lawyers are ready to discuss seeking compensation for creditor harassment and debt collector abuse. Contact us today to learn more about what we can do to help you overcome your legal troubles. Liens can be stripped off of the debtor’s assets in Chapter 11 or Chapter 13 when the equity in the asset, after deducting senior liens from the property’s current market value, is less than the amount of the unsecured portion of the lien can be eliminated. There is a special exception to this concept that limits lien stripping when the lien is a voluntary lien, like a mortgage, on property that is the debtor’s principal residence. Under this exception, voluntary liens on a home can be stripped off only if there is no equity in the property at all, after totaling the senior liens, to which the lien in question could attach. Unfortunately Congress has thus far failed to change to bankruptcy law to allowing the modification of home mortgages by reducing the amount of the lien to the current value of the property. Contrast this procedure to lien avoidance pursuant to § 522, where only judicial liens such as judgment liens (or voluntary liens on household goods) can be avoided if the property would otherwise be exempt. The most common application of lien stripping is the reduction of car loan liens to the present value of the car. Thus a lender holding a $12,000 claim secured by a car now worth $10,000 has a secured claim of $10,000 and a unsecured claim for $2,000. Two thousand dollars of the lien may be stripped off the asset (the car) in a reorganization. The plan must provide for payment in full of the secured portion of the debt; the unsecured portion can be paid little or nothing along with other unsecured claims. Recent changes to the bankruptcy law attempt to limit lienstripping on vehicles purchased within 910 days of the bankruptcy filing. The amendment says that ” §506 does not apply” to such vehicles. The intent was to compel payment of car loans made within 2 2/3 years of the filing payable in full, despite the fact that the collateral is often worth thousands of dollars less than the debt it secures. Tax liens can be stripped off in reorganization proceedings (Chapters 11 and 13) to the extent that the lien does not attach to equity in property. Tax liens can’t be avoided in Chapter 7 on the grounds that they impair exemptions because they are statutory liens, not judicial liens. If the tax underlying the lien is dischargeable in the Chapter 7, the bankruptcy court can determine the amount of the lien that is secured at the time of the filing. Payment of that sum entitles the debtor to the release of the lien. h. Post-bankruptcy condominium or cooperative owner’s association fees. http://tampabaydebtrelief.com/wp-content/uploads/2011/03/image-103.jpg 320 320 Law Office of Thomas Nanna /wp-content/uploads/2015/05/LOGO-CROPPED-Custom.png Law Office of Thomas Nanna2011-03-26 18:32:502015-05-17 20:12:21What debts are dischargeable? What is the role of a Trustee assigned in a chapter 7 or 13 case? Under Chapter 7 Bankruptcy, an impartial trustee is appointed to administer the case by collecting and liquidating the Debtor’s non-exempt assets in a manner that maximizes the return to the Debtor’s unsecured creditors. Under Chapter 13 Bankruptcy, an impartial trustee is also appointed to administer the case. The primary roles of the chapter 13 trustee are to determine the feasibility of a Debtor’s repayment plan for the court and to serve as a disbursing agent, collecting payments from Debtors and making distributions to creditors. http://tampabaydebtrelief.com/wp-content/uploads/2011/03/image-104.jpg 313 313 Law Office of Thomas Nanna /wp-content/uploads/2015/05/LOGO-CROPPED-Custom.png Law Office of Thomas Nanna2011-03-26 18:26:232017-04-11 22:57:26What is the role of a Trustee assigned in a chapter 7 or 13 case? 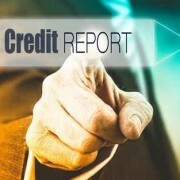 A bankruptcy remains on a credit report for a maximum of ten years under provisions of the Fair Credit Reporting Act. How do I get a bankruptcy filing removed from my credit report? The Bankruptcy Court has no jurisdiction over credit reporting agencies. The Fair Credit Reporting Act, 6 U.S.C. § 605, is the law that controls credit-reporting agencies. The law states that credit reporting agencies may not report a bankruptcy case on a person’s credit report after ten years from the date the bankruptcy case is filed. You may contact the Federal Trade Commission, Bureau of Consumer Protection, Education Division, Washington, D.C. 20580. That agency can provide further information on reestablishing credit and addressing credit problems. You can also directly contact the credit bureau(s) reporting the information. http://tampabaydebtrelief.com/wp-content/uploads/2011/03/image-105.jpg 313 313 Law Office of Thomas Nanna /wp-content/uploads/2015/05/LOGO-CROPPED-Custom.png Law Office of Thomas Nanna2011-03-26 18:24:072017-04-11 22:56:54How long does a bankruptcy filing remain on my credit report? If the Debtor cannot make a chapter 13 payment on time pursuant to the terms of the confirmed plan, the Debtor should contact the chapter 13 Trustee by phone and by letter advising the Trustee of the problem and whether it is temporary or permanent. If it is temporary, the Debtor should advise the Trustee of the time and manner in which the Debtor will make up the payments. So long as the Trustee agrees, the payments can be made up over time. If the problem is permanent and the Debtor is no longer able to make payments under the plan, the Trustee will request that the case be dismissed or converted to another chapter, or the Debtor may seek to modify his or her plan. The determination of whether to modify the plan or dismiss or convert a case requires legal analysis. The Debtor should seek counsel from a qualified bankruptcy attorney before attempting to make a decision how to proceed in their case. Thomas A. Nanna is a Board Certified Bankruptcy Attorney in Tampa, Florida. http://tampabaydebtrelief.com/wp-content/uploads/2011/03/image-107.jpg 385 385 Law Office of Thomas Nanna /wp-content/uploads/2015/05/LOGO-CROPPED-Custom.png Law Office of Thomas Nanna2011-03-26 18:22:482015-05-17 21:12:21What if I cannot make my Chapter 13 payment? This meeting is referred to as the “meeting of creditors.” All creditors are notified so that they may attend, but their attendance is not required. Debtors have a duty to appear and testify under oath and answer questions by creditors. This meeting is presided over by the trustee assigned to the case and is held approximately 40 days after the petition is filed. Debtors are required to provide photo identification and proof of social security number to the assigned trustee. A Debtor’s failure to appear may result in dismissal of the case. If a continuance or change in the hearing date is sought, the trustee assigned to the case must be contacted. http://tampabaydebtrelief.com/wp-content/uploads/2011/03/image-108.jpg 291 291 Law Office of Thomas Nanna /wp-content/uploads/2015/05/LOGO-CROPPED-Custom.png Law Office of Thomas Nanna2011-03-26 18:18:132015-05-17 21:12:27What is a 341 meeting? You should immediately notify the creditor in writing that you have filed bankruptcy, and provide them with the case name, case number, and filing date, or a copy of the petition that shows it was filed. If a creditor continues to attempt to collect, the Debtor may be entitled to take legal action against the creditor to obtain a specific order from the court prohibiting the creditor from taking further collection action. 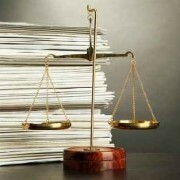 However, a formal motion must be filed, in accordance with the Bankruptcy Code and applicable Rules. If the creditor is willfully violating the automatic stay, the Court can hold the creditor in contempt of court and fine the creditor. Any such legal action brought against the creditor will be complex and will normally dictate representation by a qualified bankruptcy attorney. It releases the Debtor from personal liability for discharged debts. 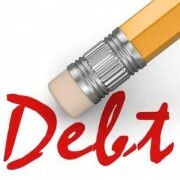 Thus, it prevents the creditors owed those debts from taking any action against the Debtor to collect the debts. Most, but not all, types of debts are discharged if they existed on the date the bankruptcy case was filed and were listed on the schedules. Some of the debts that are not discharged are discussed in question 15. Bankruptcy law regarding the scope of a discharge is complex, and Debtors should consult competent legal counsel prior to filing. Can a discharge be denied? Under certain circumstances, 11 U.S.C. § 727 provides the Debtor’s discharge may be denied in a chapter 7 case. Grounds for denial exist when the Debtor: (1) failed to keep or produce adequate books or financial records, (2) failed to satisfactorily explain any loss of assets, (3) committed a bankruptcy crime such as perjury, (4) failed to obey a lawful order of the bankruptcy court, or (5) fraudulently transferred, concealed, or destroyed property that would have become property of the estate. What is the difference between a discharge being denied and a debt being declared nondischargeable? The court can deny the Debtor’s discharge of all debts, or determine that a particular debt or debts are nondischargeable. If the court denies the discharge of all debts, then the Debtor will still be legally responsible for all the debts as if no bankruptcy petition had ever been filed. 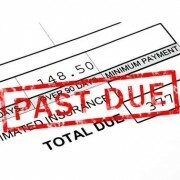 If only certain debts are ruled nondischargeable, the Debtor will still receive a discharge order. However, the Debtor will remain legally responsible for those nondischargeable debts. For a discharge to be denied, either as to a particular debt or as to all debts, someone must file an adversary proceeding (lawsuit) with the court. That party must then prove one of the grounds for denial of the discharge or for a debt to be declared nondischargeable. http://tampabaydebtrelief.com/wp-content/uploads/2011/03/image-109.jpg 469 469 Law Office of Thomas Nanna /wp-content/uploads/2015/05/LOGO-CROPPED-Custom.png Law Office of Thomas Nanna2011-03-26 16:18:482015-05-17 21:12:43What is a Bankruptcy Discharge? 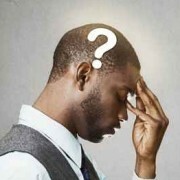 Your decision whether to file bankruptcy and under which chapter to file depends on your particular circumstances. In general, Chapter 7 is appropriate when the Debtor has insufficient income to pay a portion of his/her debts, and the Debtor is not seeking to keep non-exempt property. Otherwise, if the Debtor has an income or property and can afford to repay at least some of his/her debts, Chapter 11, 12 or 13 may be appropriate, depending on whether the Debtor is an individual, partnership, corporation, or family farmer. The decision whether to file a bankruptcy case and under which chapter is an extremely important decision and has tremendous financial impact. Consequently, this decision may require expert advice from a bankruptcy attorney. Thomas A. Nanna is a Board Certified Bankruptcy Attorney in Tampa, Florida. http://tampabaydebtrelief.com/wp-content/uploads/2011/03/image-111.jpg 262 262 Law Office of Thomas Nanna /wp-content/uploads/2015/05/LOGO-CROPPED-Custom.png Law Office of Thomas Nanna2011-03-26 16:15:352015-05-17 21:13:04What Chapter is Right for Me?